Users who usually work on their PC will find it very efficient to be able to use the keyboard to also write on their smartphone. 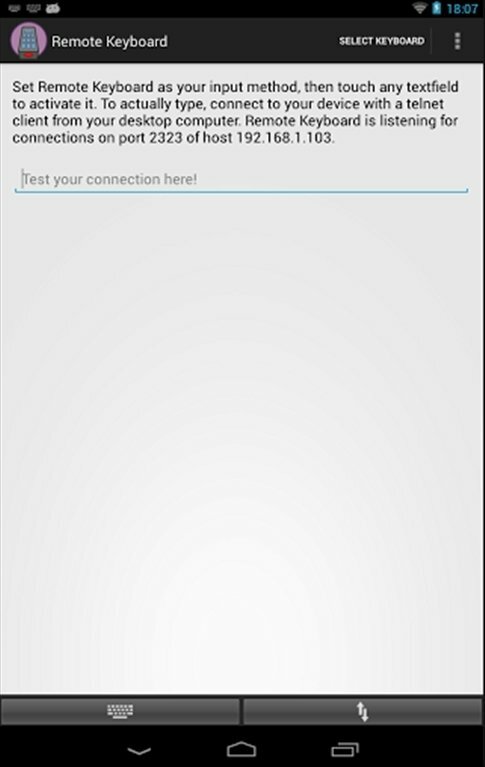 And to do so on Android, you can make use of Remote Keyboard. Use your PC's keyboard to write on your smartphone. Smartphone touch screens allow us to carry out any action on these devices. However, when it comes to writing it is more comfortable and quicker to use a traditional keyboard. 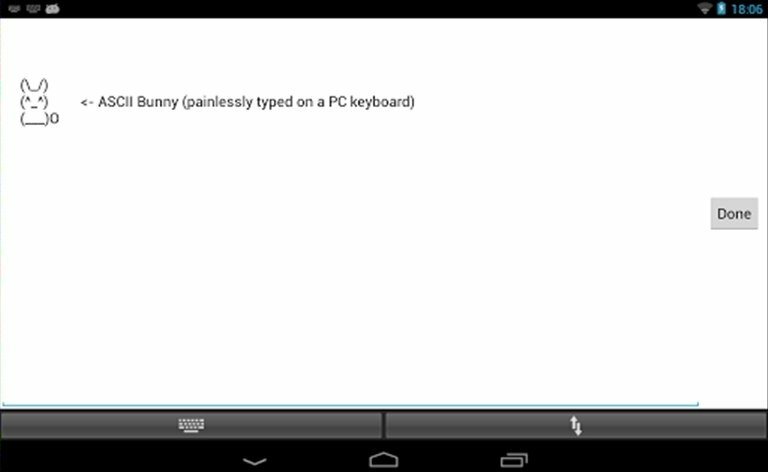 Remote Keyboard enables the use of your PC's keyboard to write on Android by means of Telnet. Use your PC's keyboard on Android is as easy as installing Remote Keyboard on your smartphone and enabling Telnet on the PC's operating system or installing a client like PuTTY. 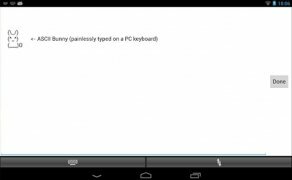 By downloading Remote Keyboard free for Android you will discover a simple way of combining the use of your PC and your smartphone, writing with your computer's keyboard.